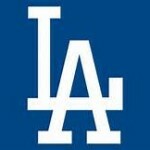 The Friday File: This year’s LA Dodgers are, to date, one of the best baseball teams ever assembled. Their current .714 winning percentage would put them in a tie for the fifth winningest club, and on pace to win 116 games. That would tie them with the 2001 Seattle Mariners and the 1906 Chicago Cubs for top spot. The eight winningest clubs won the World Series just half the time.